The Return Of The Headband (349/365 v2.0) – Annoyingly Boring? 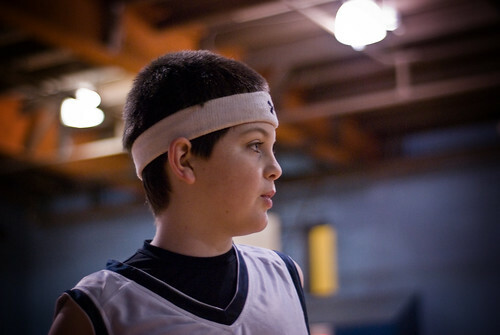 Last basketball season he had to wear his headband due to his long hair. The long hair is long gone and as such the headband had been sitting idle all season. Saturday evening he decided to give it a go with the headband. It lasted the first half and then was tossed to the bench.